My current favorite hue for the upcoming Fall season is, without any doubt, the deep hue of burgundy. 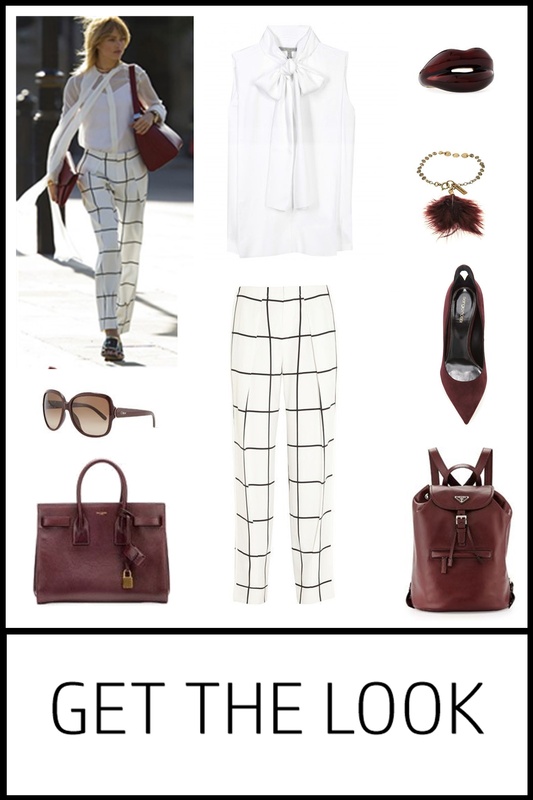 There is something rich and sophisticated about burgundy and combined with this Chloe checked pants and Victoria Beckham shirt you’ll definitely make a classy statement. Here are a few of my favorite (expensive) pieces from around the web for you to check out but mainly to inspire you while shopping for Fall. I bet there will be plenty of ‘burgundy’ from more affordable brands available. Anyway, with this kind of outfit, Fall definitely becomes the Spring of Winter! Plus a fantastic leopard print coat….